I’ve been trying to experience Second Life for a while. I’ve created two accounts, the first one was deactivated by SL because I was not using it. The only time I summoned the courage to log in (many years ago) I felt absolutely lost. I tried to explore a little bit until someone asked me, “Are you new here?” I knew I was lost, but didn’t know I looked lost. I immediately signed out and never ever again visited SL. A couple of issues have stood in my way and prevented me from experiencing SL. First of all, the name. I just don’t like the word second. I mean, all my online activities are embedded in my life. Of course I play different roles, on and offline; but I’ve always regarded those roles as part of my own life. The idea of having a second life makes me feel a bit nervous. Maybe if I accept this, moving around a virtual world will be an enjoyable experience. Secondly, my name. I just couldn’t use a fake name in none of the accounts I opened. Well, maybe I should start by calling it nickname, or rather, SL identity. I hope by January 11th I’ll have got rid of those naming prejudices so that I can start flying and teleporting in the Village 2011 EVO session. 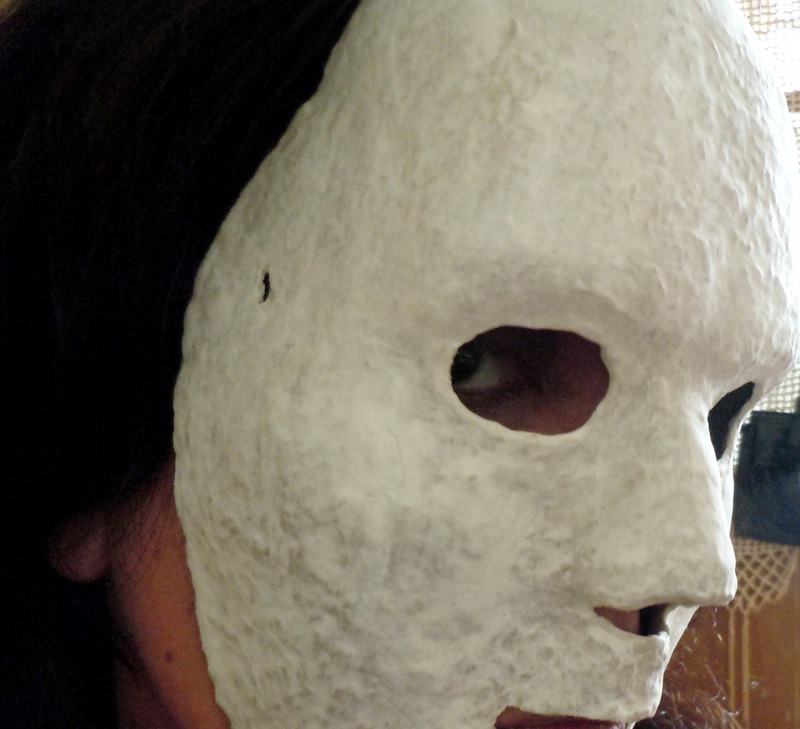 It’s high time I got some sandpaper and white paint to complete my mask. Thanks a lot, Patricia, for sharing your experience. You see, there’s something with SL which makes it different from other virtual environments. I’ve never freaked out when someone I don’t know mentions me on Twitter, for instance. This difference, the prospect of the discovery is what drives me to give it a try. I know from past experiences how supportive EVO sessions are, so I’m certain I’ll get over my fears. Happy you’ll be around. Now I remember many years ago I gave FB a second chance after reading one of your posts!